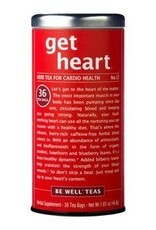 Herb Tea for Cardio Health - Let's get to the heart of the matter. The most important muscle in your body has been pumping since day one, circulating blood and keeping you going strong. 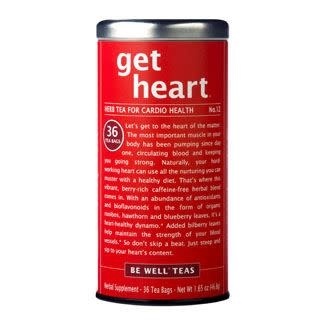 Antioxidants and bioflavonoids in the form of organic rooibos, hawthorn and blueberry leaves, make this tea a heart-healthy dynamo*. Added bilberry leaves strengthen your blood vessels. So don't skip a beat. Just brew and sip to your heart's content.